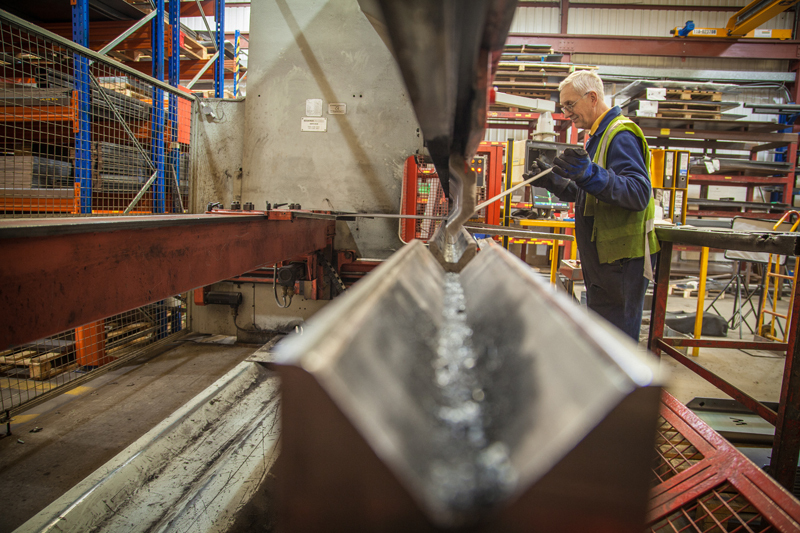 All of our products are manufactured in our Bristol based production facilities from start to finish. Find out more about how we do it. 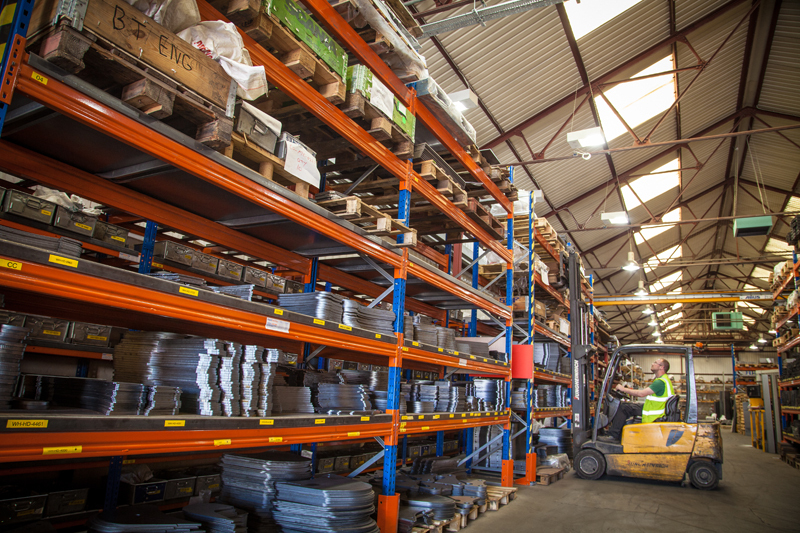 We carry vast stocks of raw materials allowing us to offer a quick turn around on core products. 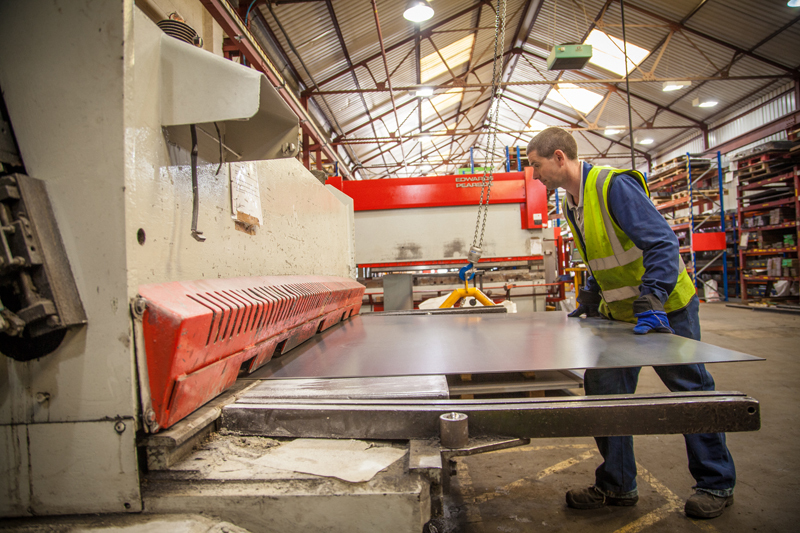 We have the ability to fold up to 16mm x 3000mm in our CNC Brake Press. Our new CNC Guillotine has the capacity to shear 13mm x 3000mm, this is a new investment in WHITES as we future proof our production capabilities. 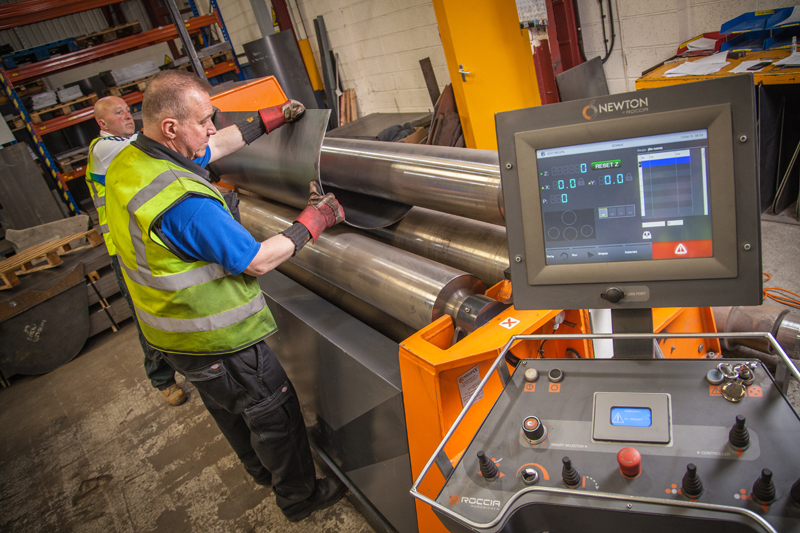 Radiuses are formed in sheet material and components on our CNC rolls. 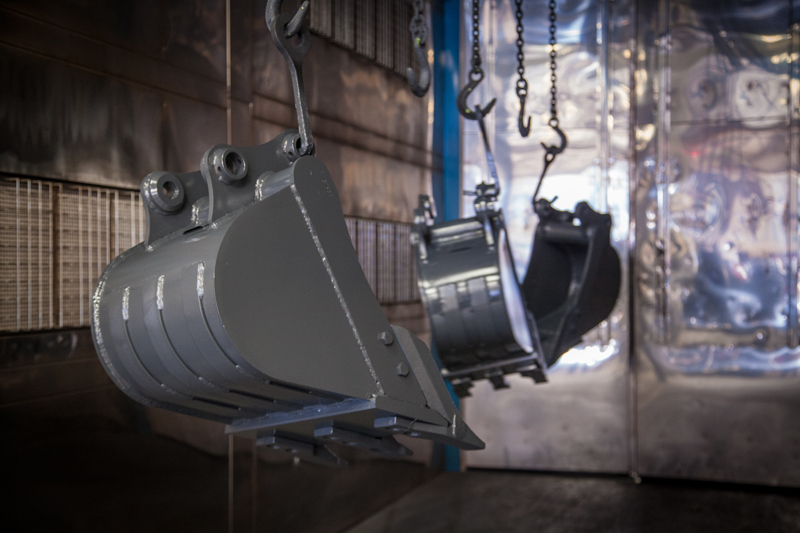 Marshalled kits of buckets and attachments are stored ready for fabrication following the pre-production process. 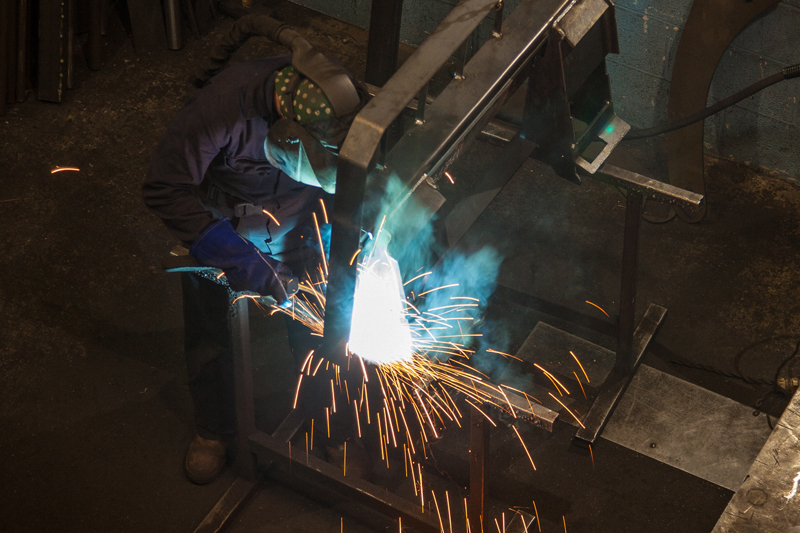 Our welders are regularly tested to ensure that WHITES standards are upheld. 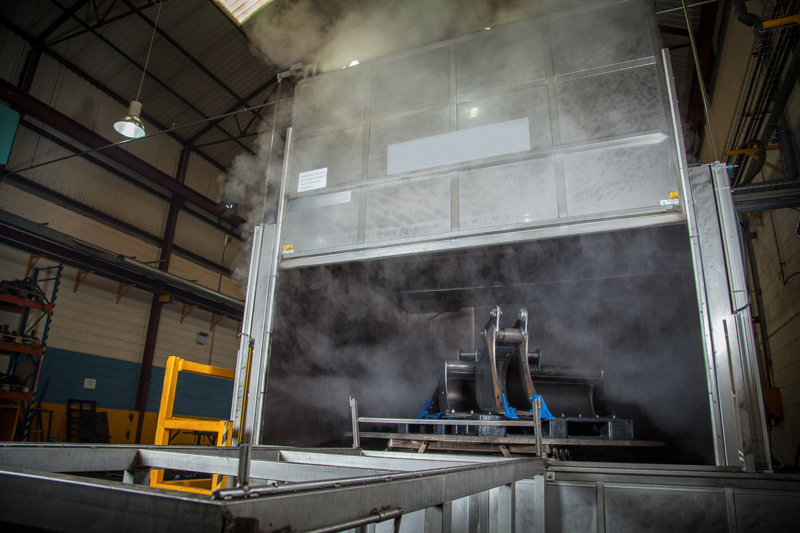 Every product WHITES manufacture is degreased and prepared for painting in our Metal Wash system providing a keyed surface which is pre-heated ready for painting. 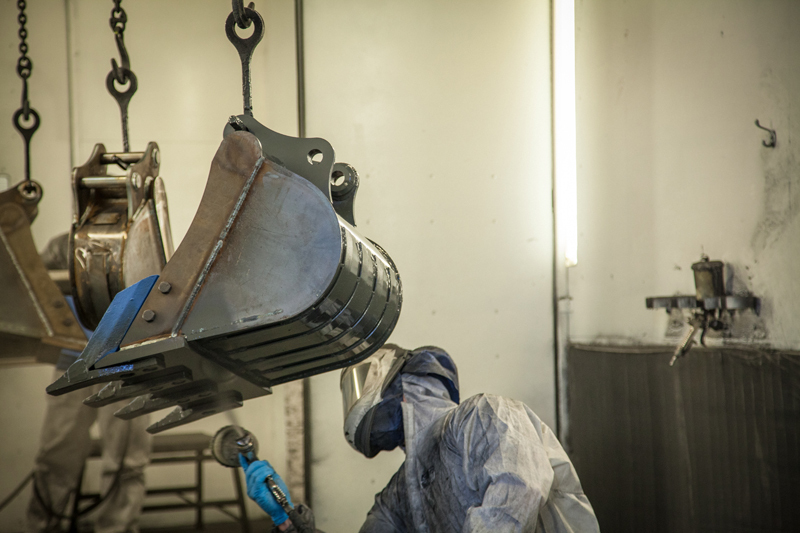 Our paint line is incredibly versatile and can accommodate anything from a 0.75t 6"(150mm) Excavator bucket up to a 3.0m^3 96"(2440mm) Telescopic Handler bucket, We can offer a variety of colours and finishes to suit your requirements. Once painted our attachments are then cured in an oven to ensure the paint is set and hardened correctly before handling/assembly takes place. 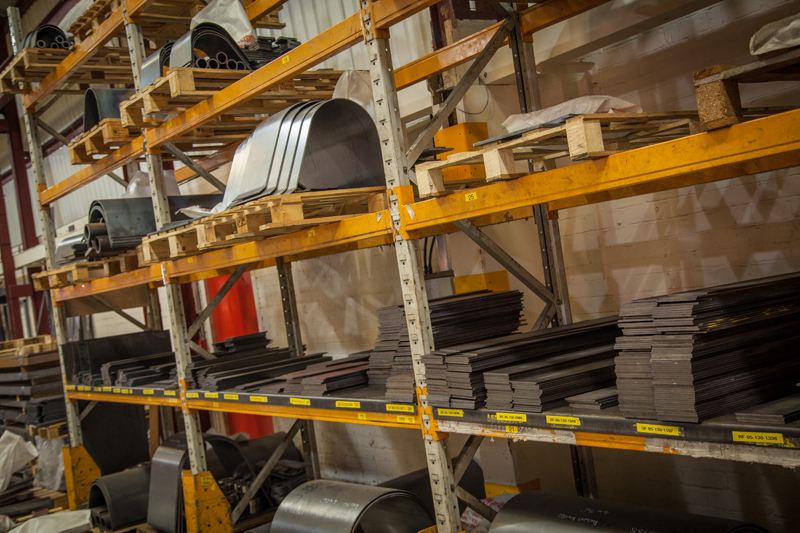 Products are grouped for shipment, assembled and where applicable hydraulically tested prior to dispatch. 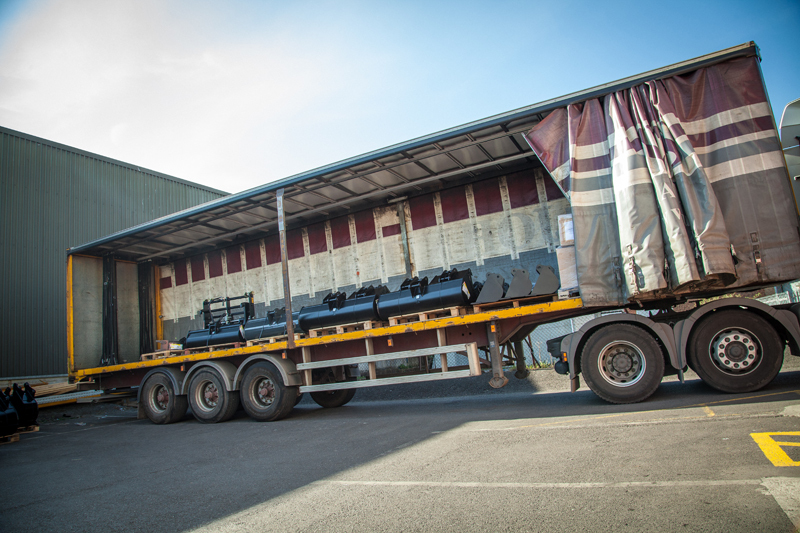 We organise transport worldwide via courier, pallet service, full or part loads and containers.